Now we know and it is from the horse’s (Trump’s) mouth that the USA is set to move it Israel embassy from Tel Aviv to Jerusalem. Opinions are sharply divided with Trump supporters and Christian fundamentalist types thinking this is a good move and virtually everybody else, from the Pope down, a bad one. Cement Israel’s control over the city, denying political rights to Palestinian residents guaranteed by international law. Grant official US recognition to Israel’s unilateral annexation of the city in violation of international law). Give a green light to longstanding Israeli government policies aimed at displacing Palestinian Jerusalemites from the city. Provoke all who hold Jerusalem dear as a symbol of holiness and hope. I have only visited Jerusalem once, in 1980. I recall attending a Messianic church service. While I don’t recall the full historical context, I do remember the upset felt by the worshippers when it was announced they will protest the US for moving its embassy from Jerusalem to Tel Aviv, feeling it was capitulation and against the will of God. My own theological stand has modified since then and while I am pro Israel insofar I believe those who identify as Jews do have a claim to the land promised to them under Abraham, there are many caveats such as dealing with daily reports of injustice toward the Palestinians, which for the sake of balance needs weighing against Palestinians being a pawn in a power struggle led by bad people. It seems to me that Trump is pro Israel in a way Obama was anti (evidence by some of his anti-Israel decision in his final days of office). He is also delivering on a campaign promise, but it would be naïve to see his motives as entirely pure and when one commentator suggested he made his decision in order to up the ante and be seen as the person that dealt decisively with the Islamic threat, I am inclined to agree. I wonder if this brings to head the conflict between the 3 great religions? 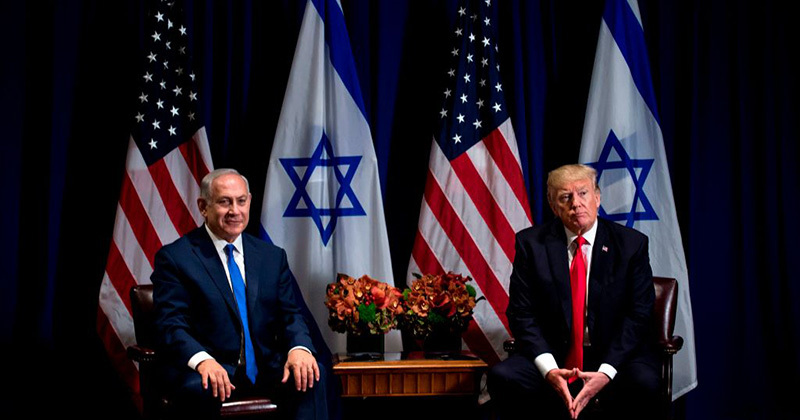 There seems little doubt the stakes in the complex world of Middle East politics have been raised by more than a notch, with Israel being once again placed at centre stage, as I have long reckoned would happen. Should the decision have been made? After all Trump was only doing what the USA has long said it was going to do and it would be a logical move given embassies are normally placed in a nation’s capital (which Jerusalem is), but with previous Presidents putting off the decision because they knew what would be the repercussions.Talking of Presidents, while I have stood up for Trump while many attack him, I wonder if he is beholden to the powerful Zionist lobby and is merely dancing to their tune. And then there is the important significance attached to Jerusalem in the Bible. While I see Israel as a nation under judgement, I also believe it has a special place in the heart of the Almighty and that Jerusalem as the focus of his actions still to take place can’t be ignored. Then there is the reality that the relocation decision may galvanise opposing Islamic factions into becoming united in its opposition to Israel including use of violence. Then there is the strong possibility with presidential support, it will embolden Israel to further oppress the Palestinians in its midst. But God will have the last word and who knows if this is part of his grand design to judge the nations, including what will be seen by some as a false religion (Islam), cause Israel to turn to Christ, and bring in millennial peace. I may disappoint friends who hold opposing views, yet with all these possibilities etc. whirling around in my mind and hearing all sorts of voices, I remain undecided on the matter. I will pray for the peace of Jerusalem, just as the scriptures say we should. Agree, We will be praying for our Christian Palestinian friends in Bethlehem. They feel they are the forgotten Church. Every believer in Jesus Christ should rejoice as prophecies are being fulfilled before our very eyes. Psalm 87:2 says: “The LORD loves the gates of Zion more than all the other dwellings of Jacob.” What we are seeing, in America’s implementation of a law made many years ago, is the miraculous intervention of the Lord God Almighty on behalf of His ancient people Israel, preparing the way for the return of the Messiah, the Christ of God.